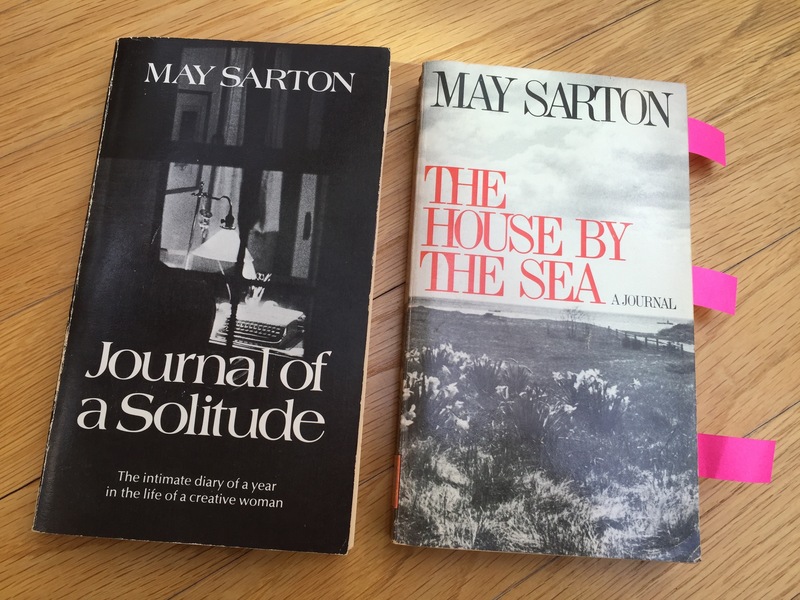 I don’t remember when I first read May Sarton’s Journal of a Solitude—perhaps, in my early sixties, working full time as a psychotherapist, teacher and consultant— with little awareness that solitude was an elixir, a drink to quell the thirst for my creativity and voice. The well of Sarton’s spirit, her unhappiness, her loneliness, her ability and willingness to chronicle her deepest sensibilities was compelling to read. I marveled and envied her bravery to write about her humanity as a woman seeking balance, her need for connection to family and friends as well as her need for solitude as a writer. In contrast, I wrote poems and journal entries in secret, a lifelong habit influenced by my Jewish/Yankee dad who often said, “It’s nobody’s business.” As a professional social worker, I was the keeper of my client’s secrets. I wrote after each session, chronicled my client’s stories in longhand, just as I write this blog, grateful for the perspective that comes from pen in hand. 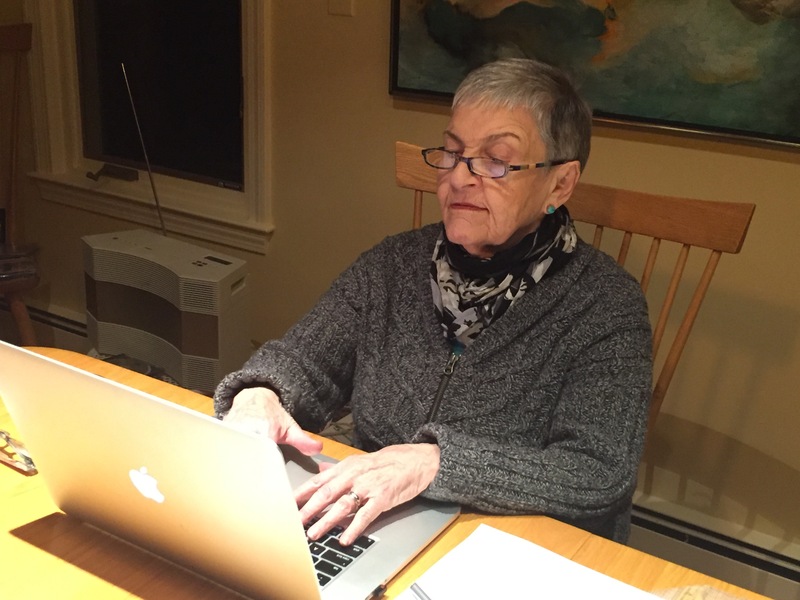 At sixty-five, I was searching for a way to transition into writing more fully. I read Sarton for courage, for a close-in experience of a woman thoroughly committed and engaged with the writing life. A lesbian, she did not marry but wrote ardently of her need for intimacy. She did not hold back self-criticism, her struggles with discontent, the parts of myself I can barely face in private, never mind in public. I feel cluttered when there is no time to analyze experience. That is the silt—unexplored experience that literally chokes the mind. Too much comes into this house—books I am asked to read and comment on, manuscripts, letters, an old friend who wants my opinion…and so on. I have my own list of clutter. This is my silt—the unexplored experience that chokes both mind and heart, robbing time for reflection, the option to pause and consider. Too much comes into my house through snail mail, e-mail, Facebook— piles of unwanted catalogues, sales pitches for the home, the mind, the appetite, the body beautiful, politicians plea for money, the thrum of capitalism. For any writer who wants to keep a journal, be alive to everything, not just to what you’re feeling, but also to your pets, to flowers, to what you’re reading. This entry was posted in Creativity, Currents, Happiness, Mindfulness, Nature, Relationship(s), Uncategorized and tagged Journaling, May Sarton, Writing on March 21, 2016 by fayewriter.